Howard Melamed, CEO of mobile communications solutions provider CellAntenna Corp., has called upon the U.S. Department of Homeland Security (DHS) to help protect Americans from the dangers of bombs triggered by remote-controlled devices. According to Melamed, local and state law enforcement agencies, which include their bomb disposal units, cannot legally use radio-frequency jamming equipment to protect themselves and the public against deadly remote-controlled improvised explosive devices (RCIEDs) used by terrorists. Think There's No Such Thing As Being Too Connected? This Couple Begs to Differ. As the world becomes increasingly wireless, Howard and Barbara Melamed, 49 and 46, respectively, are equally receptive to the needs of mobile users. As founders of CellAntenna Corp., a solutions provider for cellular communication problems, this couple offers products ranging from mobile antennas for cars to systems that make underground facilities, office buildings and even concert venues mobile-friendly. to the U.S. Department of Homeland Security That Will Cost Lives if Not Acknowledged. Howard Melamed, CEO of the CellAntenna Corporation, a leading provider of cellular communication solutions, is speaking out about the danger of Remote Controlled Improvised Explosive Devices (RCIED) and the need for radio frequency jamming equipment. Melamed has identified that according to Communications Act of 1934 established by the FCC, state and local government agencies and their bomb squads are not legally allowed to use radio frequency jamming equipment from the potential dangers of RCIED. Melamed has taken it upon himself to ask Secretary Chertoff and the U.S. Department of Homeland Security to consider the ramifications if the situation is not acknowledged. Melamed asserts that in order to prevent the loss of lives, state and local law enforcement agencies, especially bomb squad units, must also be legally allowed to use radio frequency jamming equipment as a weapon against terrorism. Not surprisingly, hotel—and restaurant—companies have begun to explore options for boosting the signal inside their properties. A number of companies have emerged recently with mobile phone antenna boosters designed for business and enterprise use. These boosters are designed to amplify the signal coming from a base station antenna and provide a stronger signal to the mobile phone. In addition to many of the major carriers, companies like Spotwave Wireless (spotwavewireless.com), Mobile Antenna (cellantenna.com) and others have created systems designed for homes all the way up to 250,000 square foot/40-story buildings. CellAntenna makes in-home repeaters. Its CEO says his equipment doesn't cause interference - that people don't want to wait for the wireless companies: "If you can't get a signal, and the carrier doesn't want to do anything about it, such as put a repeater in your home, or in your office or in your building. What are you to do?," said Howard Melamed. That's entrepreneur Howard Melamed's phrase for the necessity of exploring the business openings that unexpectedly present themselves. There's a lot to be said for careful planning and cautious review when starting a small business. But there's another side to the story, say some entrepreneurs, and that's following up a good opportunity and seizing it. A company that makes mobile phone jamming equipment is asking U.S. lawmakers to change federal laws to allow broader use of jamming equipment by law enforcement officials in the United States. Howard Melamed, CEO of CellAntenna Corp., has launched a one-man crusade of sorts urging the Federal Communications Commission to allow public-safety to use jamming devices to ward off the dangers of mobile-phone-triggered explosives. Law enforcement officials recently confirmed the use of cellular-phone triggers in London’s July bombings, while daily reports are coming from Iraq of Improvised Explosive Devices (IEDs) using hobbyist-grade remote-control devices and cellular phones. CellAntenna's building repeater systems make it possible to use mobile phones deep inside problem buildings. In addition, the building repeaters reduce the overall radiation produced by cellular phones. CellAntenna gives wireless network planners new tools to provide for seamless access. CellAntenna uses CAD systems to work with your existing plans and overlay their design to maintain the integrity of the interior design of the buildings by using antenna fixtures that blend in with the surroundings. Tired of talking to yourself? According to CellAntenna (www.cellantenna.com, its Patch Glass Mount Antenna ($24.95, model CA09-1G) increases your mobile phone’s range and decreases the likelihood that your phone will drop its connection while you’re chatting. Thanks to two suction cups, you can attach the device to your car windshield and then plug the other end of the antenna’s long cable into your mobile phone. (You may need to buy and adapter for your mobile phone , which is available for $12.95.) The antenna doesn’t require an extra power source, which means you can carry it if you need better reception outside your car. 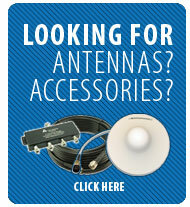 To find the antenna, click Mobile/PCS Antennas and Glass Mount. CellAntenna managing director Howard Melamed has written several white papers on this topic, including "Understanding the Threat of Mobile Communication Used for Remote Triggering of Explosive Devices". According to Melamed, mobile phones have incredible timing accuracy and can easily be turned into a trigger for an explosive device. "All mobile phones pose a threat to our public safety," he says. Instead of being chased by a bear in the woods, I feel like technology is nipping at my heels. Along comes the CellAntenna 4-Way Whip. It improves mobile phone service in those hard places such as Mazonia South. There3 are four interchangeable antennas, from tiny for the city to a 2-foot whip for the wide-open spaces. There's a magnetic base that attaches to the car. When authorities in New York City shut off mobile phone service in vehicle tunnels leading to Manhattan this week, it took a step in the direction of security, says a mobile phone expert. But only a baby step. Howard Melamed, who runs a signal amplification company called CellAntennna, says mobile telephones have a lot of features that make them attractive to would-be bombers. Making them unable to send or receive calls helps, but it doesn't disable the precise timers, or make the batteries themselves less explosive. Whether or not mobile phones had any role in exploding the bombs in London last week, technology experts warn that the simple and ubiquitous mobile hand-set carries vast and increasing potential for inflicting damage remotely. mobile phones also have a critical place in calming fears, summoning help and coordinating emergency services in a disaster, as communications networks showed in London on Thursday. Mobile Phones used as Detonators? As the toll of deaths and injured unfolds in Central London, forensics have already started the pain staking task into establishing who was responsible and what methods were used. Although too early to confirm how, CellAntenna Ltd, one of the official bidders to supply London Underground with mobile communications, believes that it is unlikely the bombs were detonated by a mobile phone. Unreliable cellular reception is accepted as a normal part of our busy modern lives- calls are dropped and reception is scarce, however mobile phones are too convenient to do without. CellAntenna’s line of Patch Antenna products resolves cellular problems, using an external antenna that increases mobile phone range and reduces dropped calls. If you own a mobile phone, you’ve probably experienced poor coverage or signal strength in indoor structures such as your home or office. CellAntenna, a leading provider of solutions that solve cellular communications problems, helps solve this with their line of building repeater packages. When installed in a home, office or other structure, CellAntenna’s building repeater systems make it possible to use mobile phones deep inside problem buildings. In addition, the building repeaters reduce the overall radiation produced by cellular phones. Coral Springs-based company has expanded to Europe and starts the new year with a bang! CellAntenna Corporation, a leading provider of products and services that solve cellular communications problems including the engineering and installation of in-building systems to increase range and decrease dropped calls has announced that the company’s customer base doubled in 2004 from 9000 customers to now more than 18,000 customers, with no limit in sight. In addition, CellAntenna Corporation has recently expanded to the United Kingdom with the formation of CellAntenna Limited, with warehousing facilities located outside London in Enfield. The brand-new CELLDOCK integrates mobile phones and land lines in one handy unit. CJAM, a division of CellAntenna, a U.S.-based company that provides technological products that solve cellular communications problems throughout the world, introduces CJAM 100, a mobile-phone size portable cellular jamming device designed to defeat cellular communications within a small area. Mobile phones triggered by remote control have become the triggering devices of choice for terrorists in Iraq. When the cellular signal is blocked at the correct frequency, bombs become immediately ineffective. CellAntenna Corporation, a U.S. based company, is a leading of provider of solutions that solve cellular communications problems, which has recently expanded its operations to Europe. CellAntenna Limited (www.cellantenna.co.uk), a wholly owned subsidiary of Florida-based CellAntenna, has opened a distribution center in Enfield, United Kingdom, located outside of London. With the current discussion on the harmful effects of cellular phone use with a recent study published in Sweden, the question is if the studies are valid, what can be done to minimize the effects of Electromagnetic Radiation or EMR. a plan to counter this threat. As cellular companies continue to develop technology to allow mobile phone use in flight and the FCC ponders the debates about the additional cabin noise this will cause, a much greater threat looms. Howard Melamed, CEO of CellAntenna Corporation and a noted cellular expert warns that the public is unaware of the dangers that the use of mobile phones on airplanes can pose.